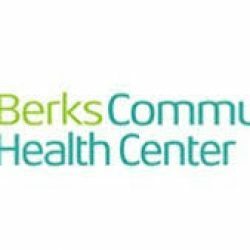 Berks Community Health Center is pleased to announce that it successfully met 100% of all Department of Health and Human Services (HHS) requirements with no conditions for correction during a recent Operational Site Visit (OSV) conducted by surveyors from HHS’s Health Resources and Services Administration’s (HRSA), Bureau of Primary Health Care. This accomplishment places BCHC among a very small number of Federally-Qualified Health Centers nationally to achieve unconditional approval during the OSV. OSVs are conducted by HRSA every two to three years at community health centers to provide a comprehensive assessment of compliance, quality and service delivery. Strength in assessing the health care needs of the community in concert with other community and health care organizations;Clinical effort to reduce chronic disease such as diabetes rates and the care coordination currently being conducted by the nursing staff.Numerous collaborations with other community organizations;Thorough and efficient credentialing of providers;Effective outreach to patients regarding the health center’s Sliding Fee Discount Program, which ensures inability to pay is not a barrier to receiving care.